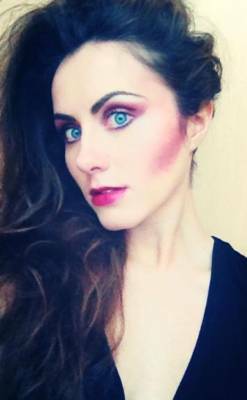 I am a make up artist studying at HND level in Glasgow. I love to push myself and work on new and exciting make up adventures, knowing every one is going to be different and unique in its own way. I have a passion for make up and love what I do. So far I have had experience doing make up for different portfolios, photoshoots, night looks and day looks. My aim is to gain new experiences in the make up industry, working with different and exciting people and be inspired by new make up opportunities, offering my creativity and enthusiasm every time. As I am currently still in study I am also looking for both male and female models for my college portfolios. If you are interested in being a model for me, or you have an event or photoshoot you want me to participate in doing make up, then please contact me. I look forward to hearing from you.